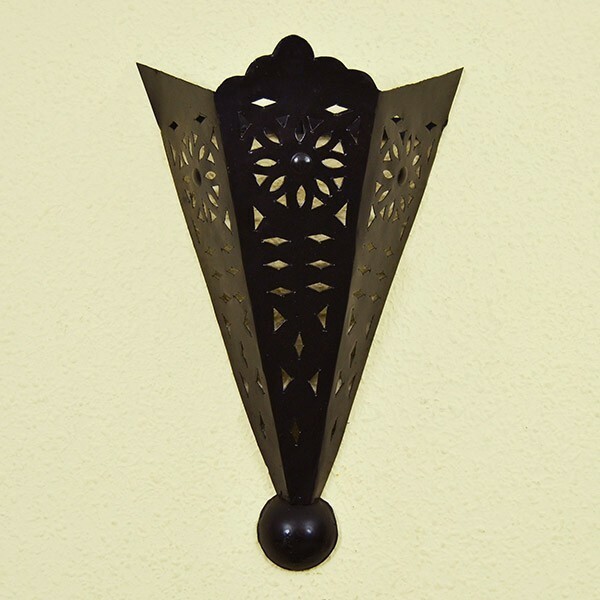 openwork iron sconce with the form of cup, painted in black color. 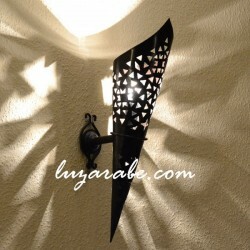 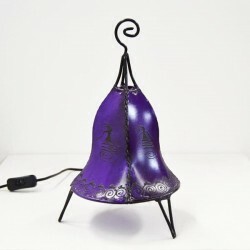 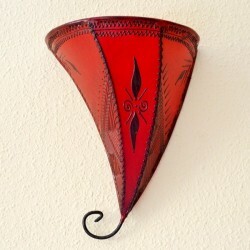 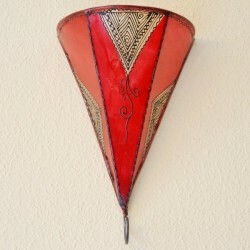 The package includes openworked iron handmade Moroccan sconce. 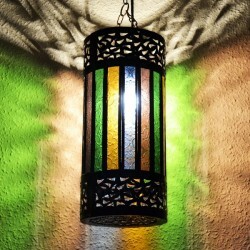 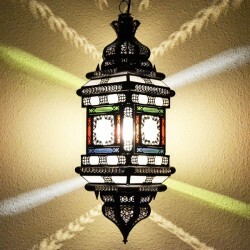 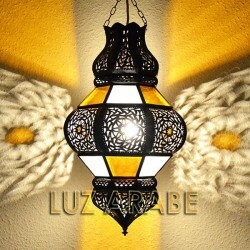 Lighting is a very important element in the decoration of the Arabic world. 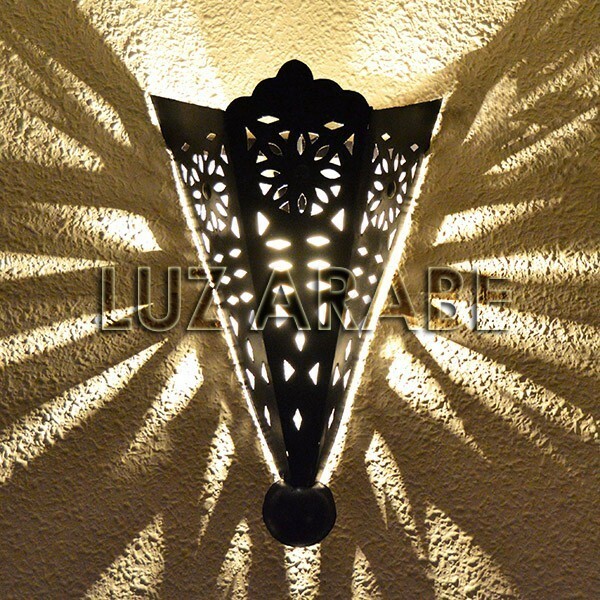 This typical Andalusian style sconce of medieval time introduces a set of reflections of light, creating a very relaxing atmosphere. This type of wall can be applied equally with and without light as a decorative object. 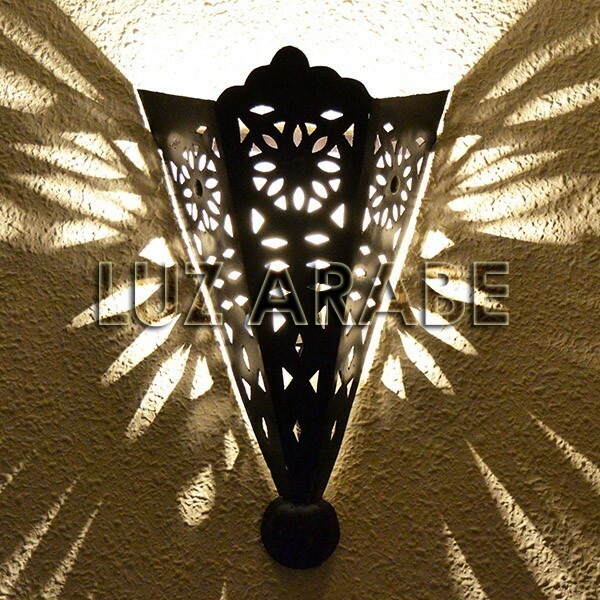 Ideal for rooms and entries with medieval and Andalusian touches, to create a relaxing atmosphere.